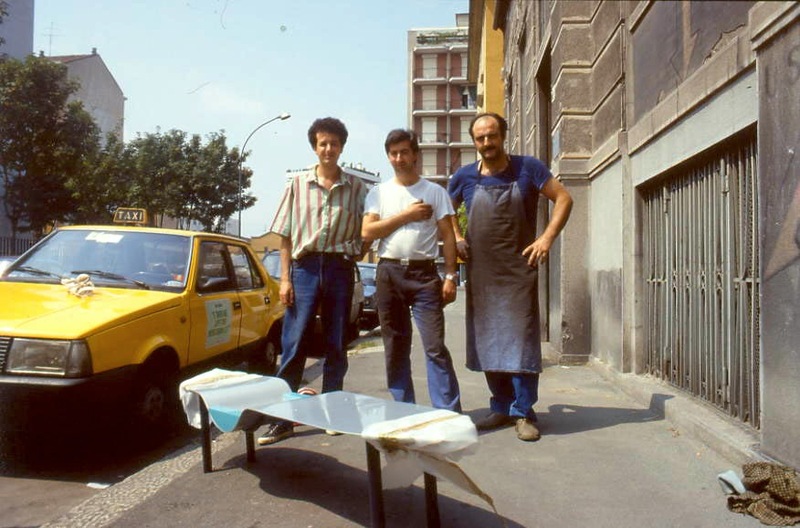 The exhibition 12 Nuovi Memphis (by B. Radice, Milan 1986) introduced some new designers. Out of a few projects of mine an aluminium low table was chosen. 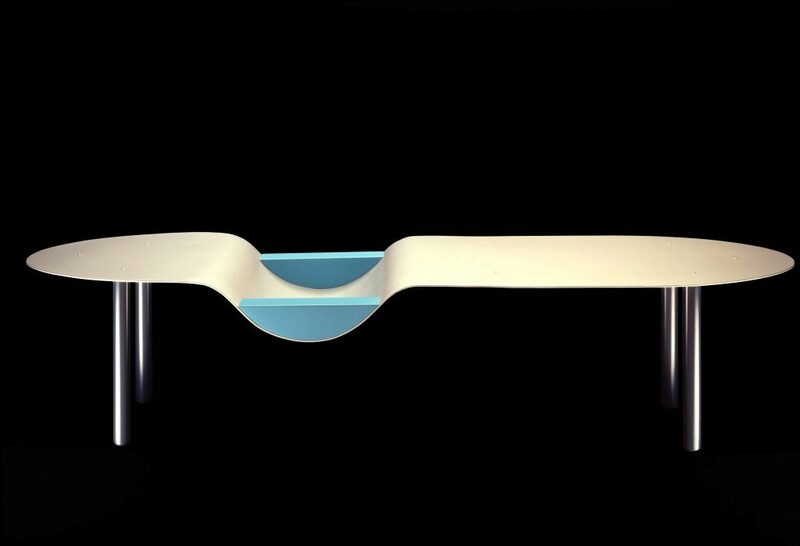 It is shaped as to have a container/fruit bowl thanks to two lacquered aquamarine wooden sides. The characteristics of this table make it move away from the typical Memphis language though close to its poetics.